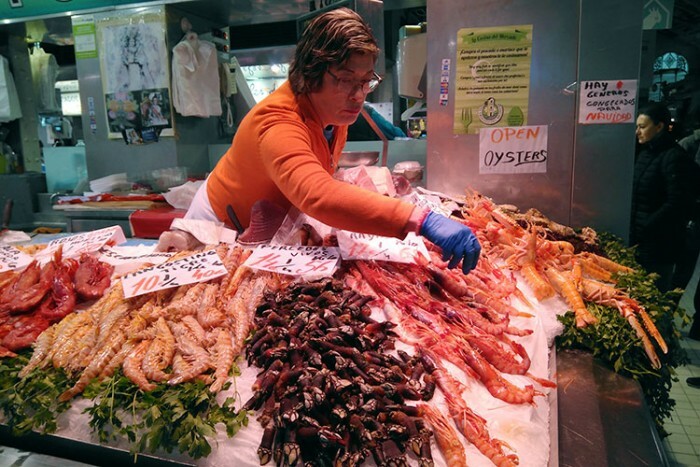 Learn to cook in the home of paella: Valencia! 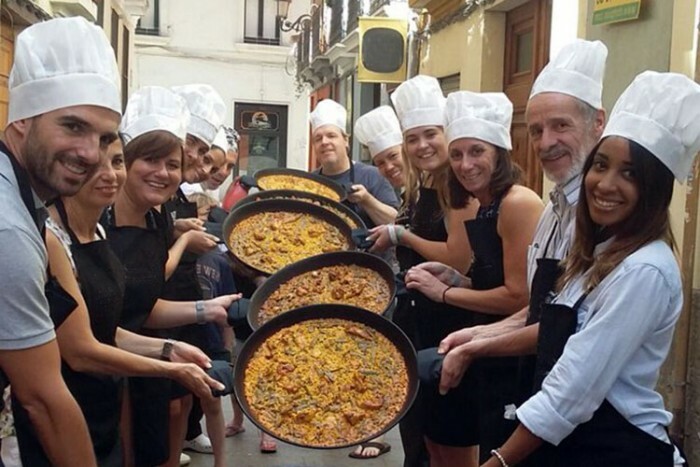 What better place to learn how to cook Spain's national dish than in the home of paella: Valencia! 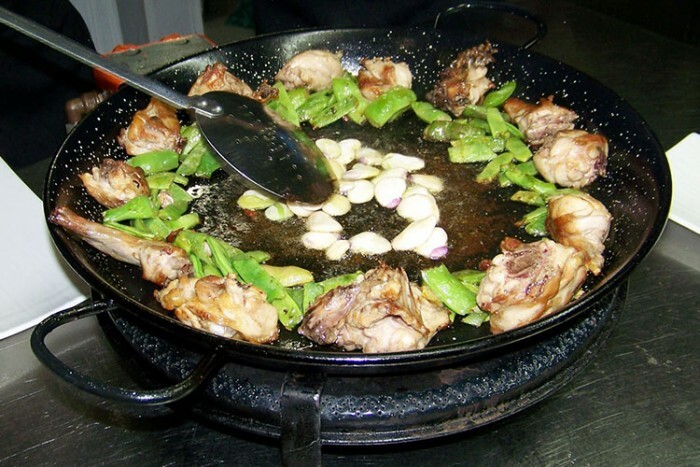 Accompanied by your chef, you'll begin with a visit to the bustling Central Market* where you will go to various stalls and select the elements required to prepare a mouth-watering paella, including some secret ingredients that will give your dish that authentic Valencian taste. Busy in the mornings? 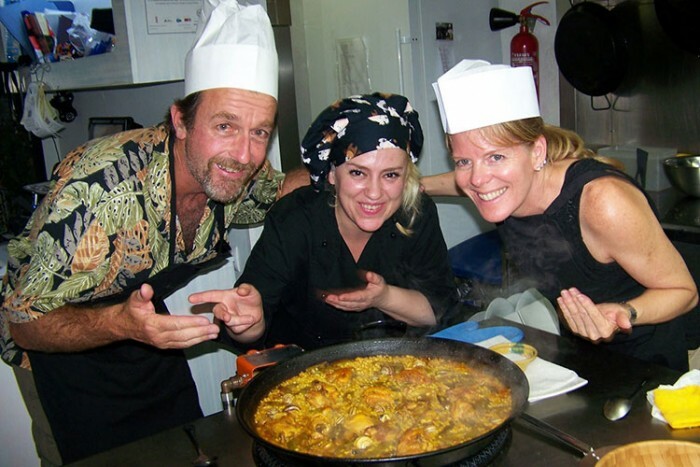 See our Evening Paella Class without market visit. 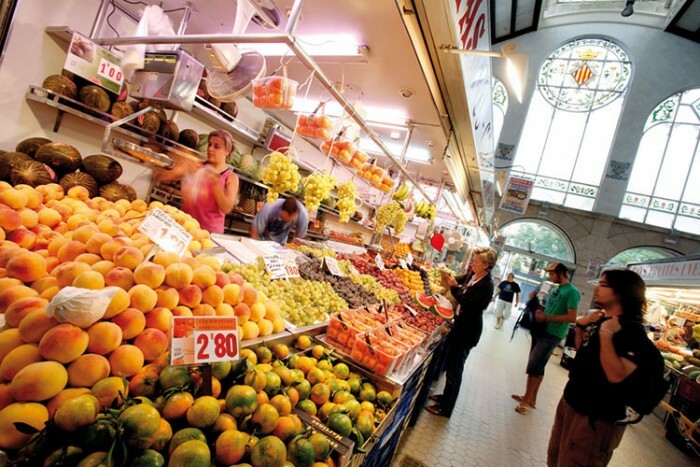 A testimony to the importance of gastronomy in Valencia, you will easily lose yourself in the atmosphere, smells, colours and life of this vibrant market. 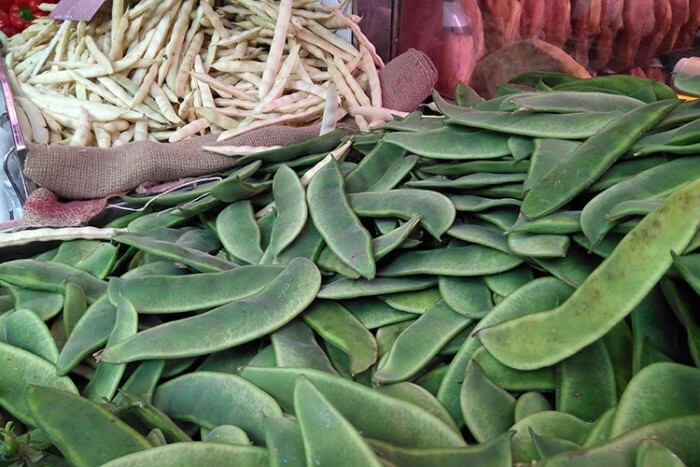 You'll buy the ingredients according to the type of paella you want to make: Traditional Valencian, Seafood or Vegetarian (prices vary, see Important Info). After a welcome drink, it's all hands on deck as we head to the kitchen and start the paella cooking class proper. 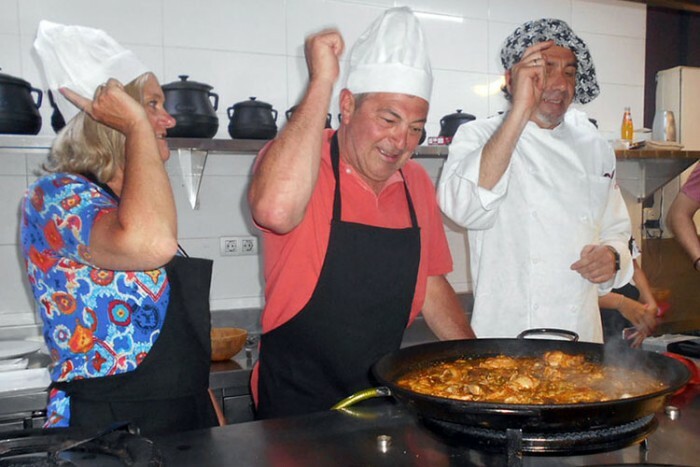 You'll get down to business with your chef guiding you through the steps to prepare the perfect paella. Along with having a plenty of laughs with your chef and other students, you'll be learning some real Spanish chefs' tricks that are sure to impress next time you cook for friends at home. This is a wonderful social activity, with everyone having fun in the kitchen and when you finish your rice masterpiece, the proof is in the tasting! Be your own judge as you sit down with the group for a "family" lunch and enjoy the final dish you proudly cooked with your own hands. * On Sundays the market is closed so the activity starts 1 hour later and does not include the market visit. ** You may be given the option to include snails in the traditional Valencia paella, but they are not compulsory. People with shellfish allergies should check with their doctor before consuming snails. "Awesome experience. Really enjoyed it"
"Highly recommend, it was very informative, professional, fun, and tasty!" 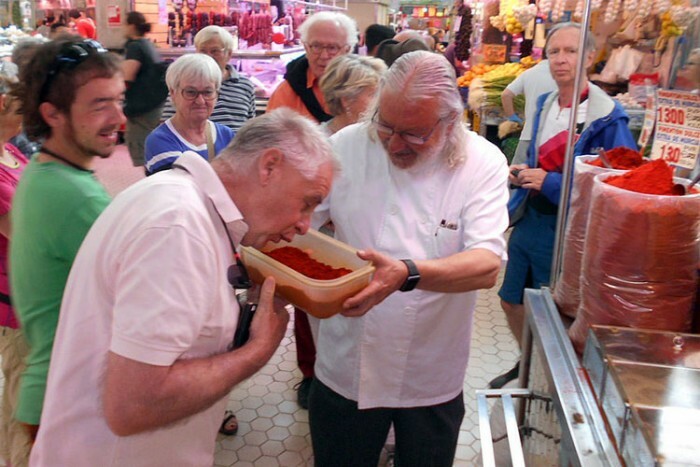 Market visit (except Sundays), cooking class with professional chef, cooking facilities and equipment, and all ingredients. Full meal with starter, main course, dessert, soft drinks and wine at the conclusion of your cooking class. The tour goes ahead rain or shine. It is your responsibility to check the weather and bring suitable clothing. 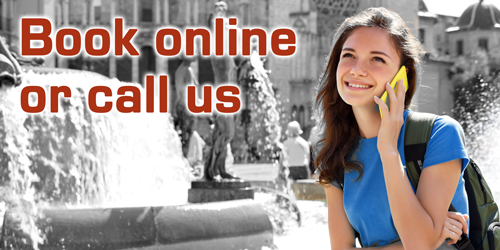 The meeting point is at the school close to the Plaza de la Reina in the heart of the city centre. Children are the responsibility of their parents/guardians at all times. Children under 12 cannot participate in the cooking for safety reasons, but they may watch in the kitchen and also particpate in the market visit and meal. Smaller children may get bored and need to be kept occupied by one of their parents/guardians in a quieter part of the school while the rest of the adults cook. *On Sundays the market is closed so the activity starts 1 hour later and does not include the market visit.